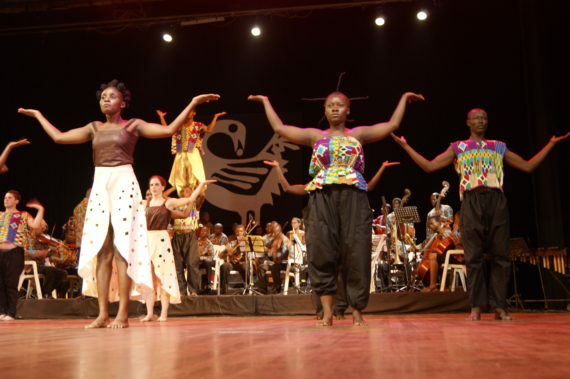 A multi national music and dance production dubbed Azã last week proved the power, sophistication and beauty of cross-cultural collaborations during a mesmerizing performance at the National Theatre in Accra. 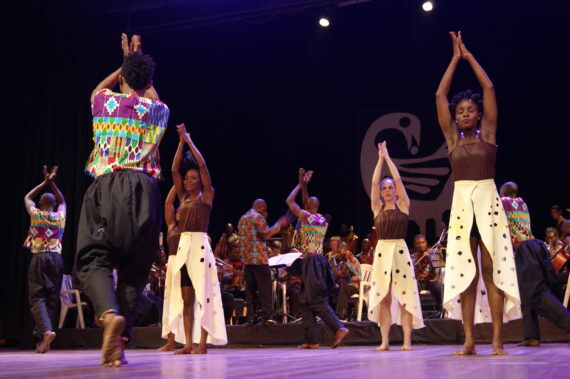 Performed by over 150 artistes from Canada, Ghana, Azerbaijan and the United States, the show revealed a skillful blend of widely effervescent music and dance cocktails that were sparkling with intelligence. 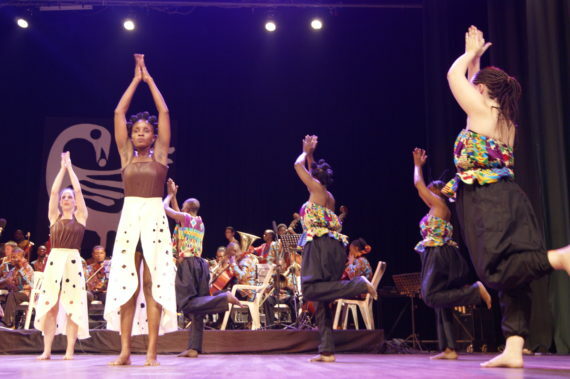 Presented by the National Theatre of Ghana – Azã, which Prof Zelma Badu-Younge choreographed with compositions by Prof Paschal Younge, was undeniably an exceptional artistic event that can easily pass as the show of the year in Ghana. 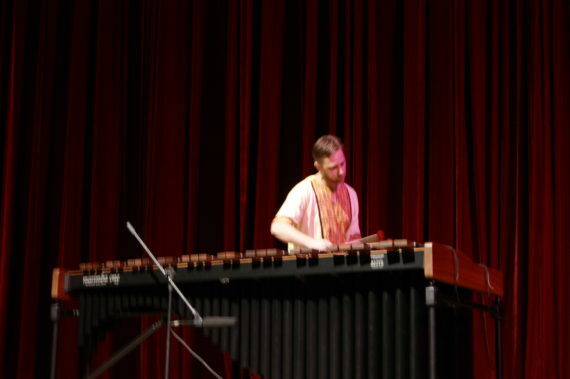 With marimba virtuoso Dr. Erik Forst (USA), multi disciplinary artist Sashar Zarif (Canada), conductor Isaac Annor and director Nii Tete Yartey (Ghana), the audience was transported to various parts of the world through a dramatic fusion of a variety rhythms, beats and dance forms. 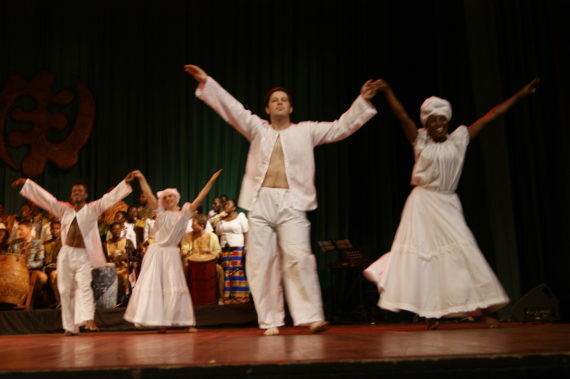 “Azã is a marvelous braid of music, dance and songs that fused diverse influences leading to an ecstatic pitch. Indeed, a fierce expression of unity resonates across the whole production”, said Ian Bromley, an expatriate from the United Kingdom. 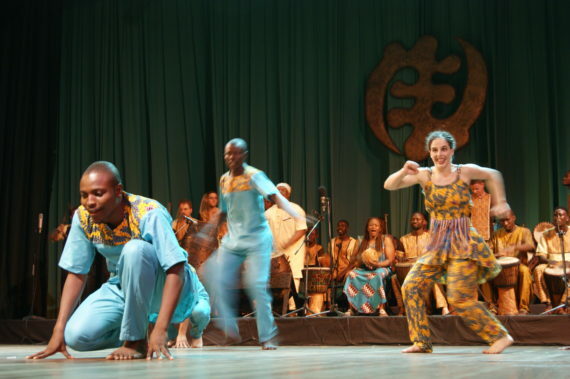 “It’s not about virtuosity; it’s about the physical crafting and fine-tuning of emotions coolly interspersed with Sufi, Shamanic and African ritualistic practices. It is delightful to share in the vibration projected by these wonderful artistes”, added Monica Schmidt, a dancer from Germany. 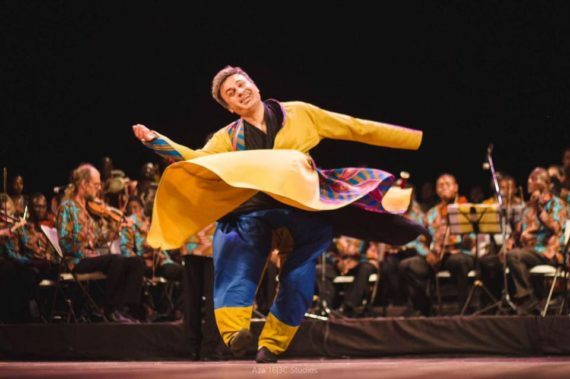 Characterized by interdisciplinary collaboration, artists from the National Dance Company, Azaguno Inc (USA), National Symphony Orchestra, a mass youth choir and guest artists managed to sway the crowd through a superlative fusion of choreography, music, sound and light. 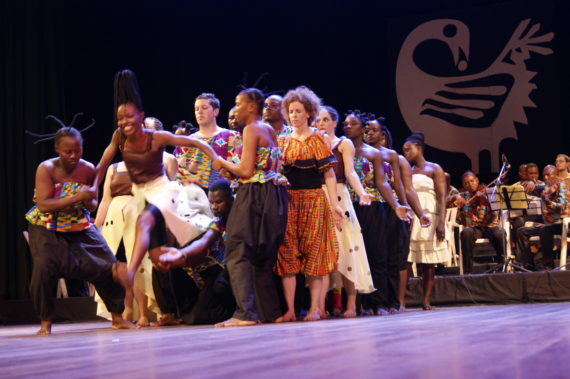 A modern symphony for marimba, classic spiritual acappella, music for multiple bells, dances based on “Barankana” (Botswana) and American Step Dancing, Haitian religious chants, melodic structures from the Caribbean and elsewhere charmed the audience, who cheered and applauded intermittently. 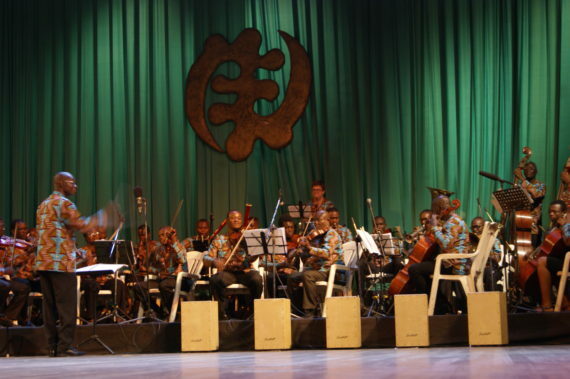 The dancers traced elaborate movements, whipped into spins and shimmered like fireflies evading dawn light as polyphonic tunes from the musicians and voices from the choir penetrated the vast auditorium with controlled intensity. 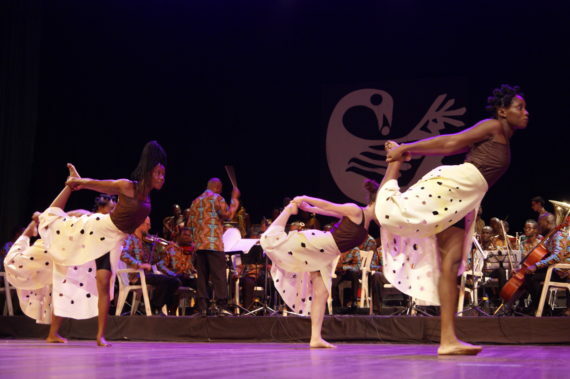 Ohio Arts, Ohio University, Messiah College, Azaguno Inc, National Theatre of Ghana, Ghana Tourism Authority and Central Hotel are supported the programme, which attracted audiences for three continuous days.